On the eve of the 22nd Ann and I made our way to Gatwick airport. 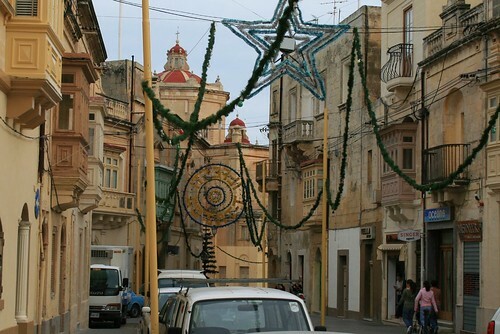 We had a flight to Malta the next morning at 7.15 AM and didn’t want to count on public transport getting us out there in the morning as London was having severe traffic issues due to snow and ice. 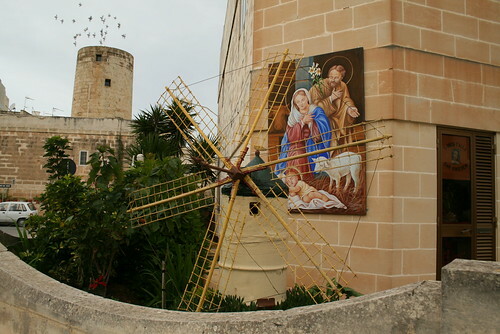 Lucky for us the the flight was almost and time and we made it to Malta without any problems. 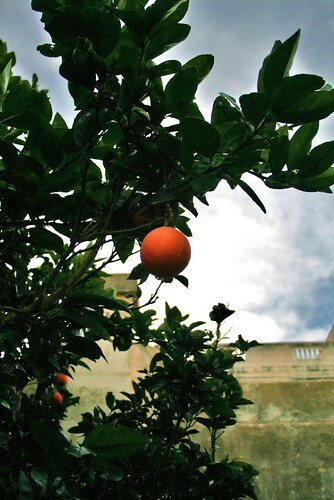 While England and the rest of northern Europe was struggling/celebrating snow and ice we ended up in Malta’s warmest Christmas in more than 20 years with temperatures up to 24 degrees – nice! 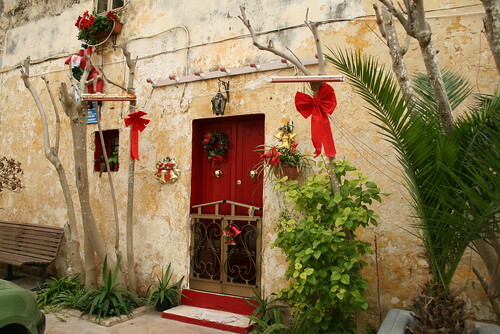 On December 24th, while Ann was busy, I walked around the village she is from taking pictures of the Christmas decorated houses. 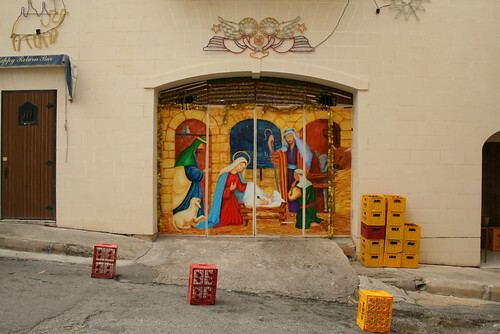 The last photo is a hand-painted picture on the back entrance to a bar that really have an aura of Christmas. As I walked by Christmas music was blasting out in the streets. Check out the front and side photos. 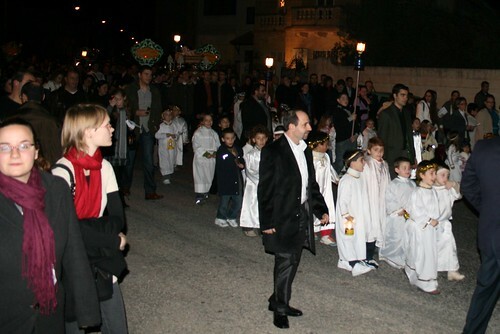 In the evening of the 24th we went to the village’s Christmas Procession where kids dressed as angels and shepherds walk the baby Jesus through the streets as they sing carols. 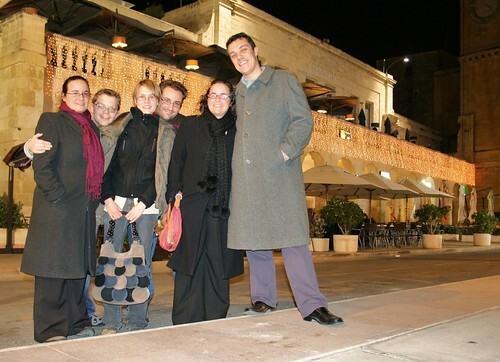 In the evening we went out with Ann’s siblings and partners to a nice restaurant on Vittoriosa Waterfront. After that it was on to the university church where we went for midnight mass. The church was packed with people sitting outside watching the service on a big screen. 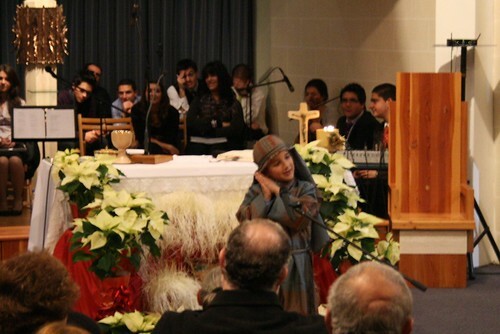 We got a seat inside and watched the Maltese service which started with this kid retelling the Christmas story. Very cute. Well I’m used to celebrating Christmas on the eve of the 24th but here it’s different so we had to let the gifts stay under the crib for another night before we could release the excitement. 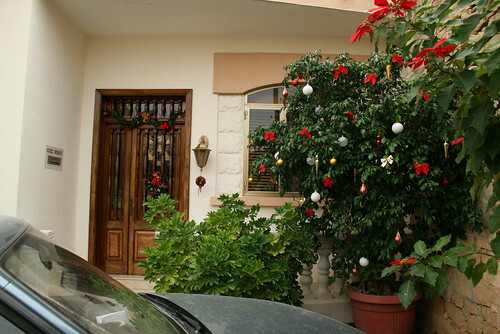 The next morning we got stockings, opened gifts, played games, Wii and watched films. 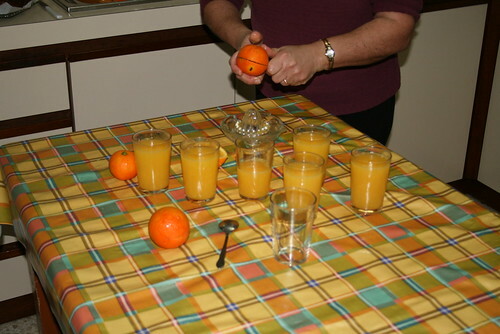 An extra bonus is that Ann’s mum has orange trees in her garden so we could all start the day with a glass of fresh juice – delicious. It is the weekend of All Saints the time of remembering the dead. In a lighter spirit it’s also Halloween and time to scare and be scared. 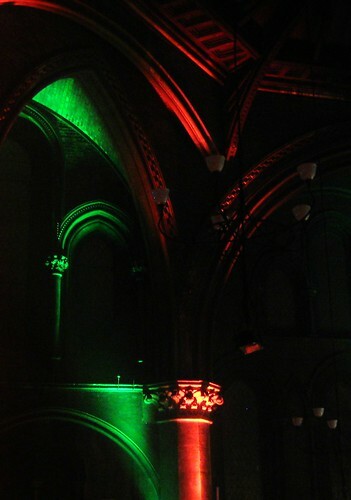 Thursday night Ann and I went to Union Chapel in Islington for a quite extraordinary service. Union Chapel is a church built in Victorian Gothic style back in late 19th century. 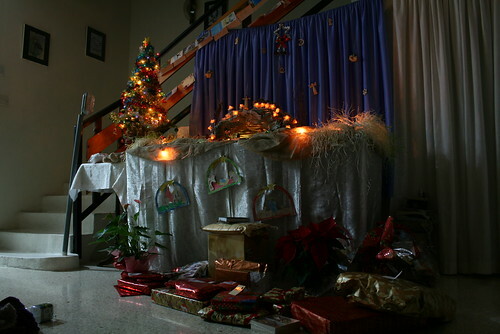 It is a working church with sermons every Sunday but it is also the host of other events. In order to pay for the restoration and upkeep of the building as well as increase access the church opened up for performing arts to use the place in 1991. Union Chapel has hosted names like David Byrne, Noel Gallager, Damian Rice and even U2 made a surprise session there (click the links to get an idea of the atmosphere). Thursday night the church was taken over by Dracula! The film they were showing was the Dracula of 1958 and as you can imagine the church was perfect for a Dracula setting. 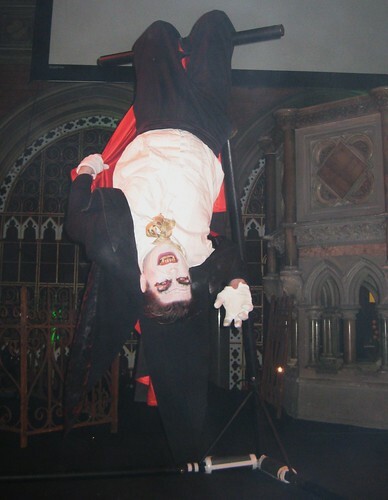 Before the show started while people were getting drinks and popcorn a Dracula was on stage hanging and standing from a metal frame sometimes jumping off stage and sneaking around the back to scare people. To top it all off an organ player was setting the right mood on the original Father Willies organ in the church – Spooky – in a very cool way! See the official photos here. Yet again the blog/twitter of IanVisits was the one to alert me to an event, cheers!